The Green Thumb Potting Shed is a shady, cozy structure that offers shelter from the sun and rain, and is perfectly sized for budding gardeners. 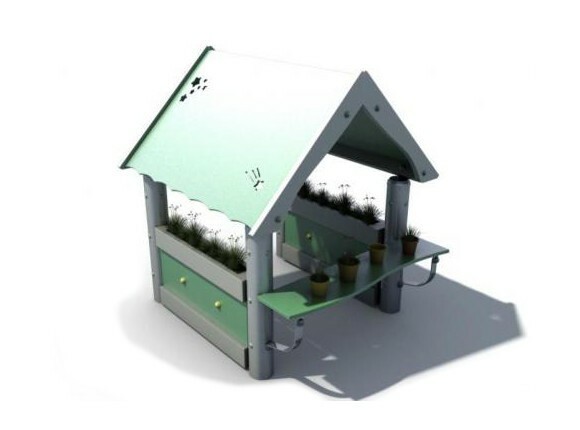 It has a play counter for mixing and potting herbs, vegetables or flowers, and planter box sides that help display the handiwork of successful growing and harvesting. Natural science and exploration are key content areas for early childhood education. 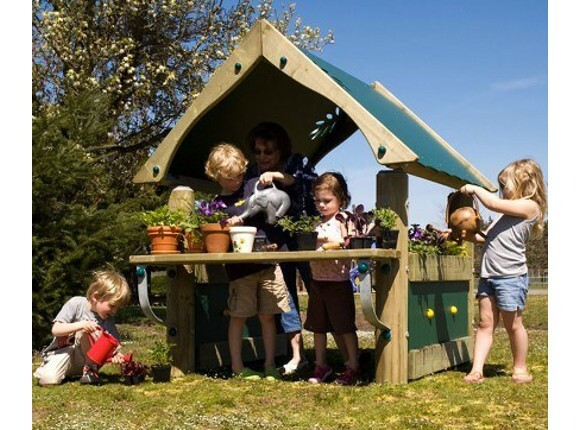 Incorporate elements such as maps, gardening, and science learning into the play environment to bring learning outdoors.